If rarity is your game, 2017 Leaf Plates & Proofs Hockey could be right up your alley. The entire release is composed solely of one-of-one cards used in the making of previous Leaf sets. With eight cards per box, 2017 Leaf Plates & Proofs Hockey includes six Printing Plates and two pre-production Proofs. 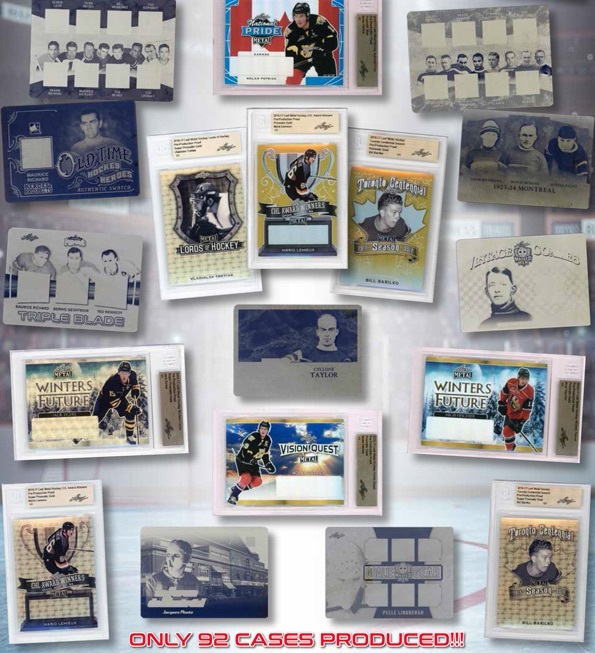 All one-of-one editions, the plates are marked to indicate which Leaf Hockey set they helped create, while the proofs are slabbed by Beckett Grading. Although specific products were not mentioned, it appears that some of the more recent Leaf Hockey sets are included. Because the cards were actually used in the creation of other sets, the 2017 Leaf Plates & Proofs Hockey production run is limited to only 92 cases for a total of 920 boxes. Mikhail Sergachev Auto Autograph 2016 Signed Leaf Genesis Printing Plate 1 1 !! 2016-17 Leaf Metal DANIIL VERTIY Auto Cyan Printing Plate 1 1! WOW! I really don’t see the point of this product… this is another uninspired release from Leaf hockey product. It’s really sad to see what ITG has become under Leaf brand. Getting a brunch of printing plates from pourly designed cards is just terrible. Sorry to be so negative, but that’s just the way I feel about Leaf products recently. 2017-18 LEAF HOCKEY - FACTORY SEALED 12 BOX HOBBY CASE - SALE!!!! SAVE $450!! !